Today is my first day with the car plugged in all day since I completed the variable charging which directs the car to charge at 0, 6, 10, or 16 Amps depending on availability from my solar panels. The green area shows the electricity generated by the solar panels. 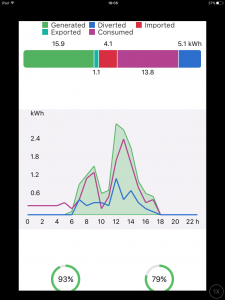 The purple line shows the demand for electricity – the larger changes are the car charger switching on and up/down. I myself witnessed it switching between 6 and 10 Amps while working in the garage. The blue line shows the second priority – electricity being used for water heating. The water heating control is more dynamic and adjustable in finer increments so it mops up what the car charger cannot. 15.9 kWh of electricity was generated. 5.1 kWh of electricity was diverted for water heating. 1.1 kWh of electricity was exported to the grid. 20.0 kWh of electricity total input. 20.0 kWh of electricity total output. 93% of electricity generated used productively. 79% of electricity used self-generated. This entry was posted in Charger control project on 20/08/2016 by Greening Me. This week for the first time a salesman ventured into my home to sell me a battery for my solar PV system. His company were not the first to discuss it on the phone, or make an appointment, but this guy actually turned up which is a first. The principal of such a battery is straightforward – there will (often) be times when you generate more electricity than you can use immediately, so why not store it for later use? Firstly, let’s think about the architecture of the system that was being presented. This system puts a battery and a charge controller on the DC side of the inverter i.e. between the panels and the inverter. 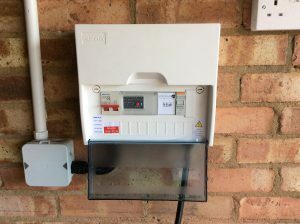 This reduces consumption on the generation meter when you charge the battery, but registers on the meter when the battery is discharged – not in itself a problem just a difference. This architecture creates a system in which the battery can only charge in daylight and only discharge in darkness but to my way of thinking that’s less efficient than it could be. Firstly during my day there are often load peaks that go beyond what the panels can cover. Events like boiling a kettle, or the heating periods on the dishwasher or washing machine often push electricity demand beyond the immediate panel output, and you you might hope that the battery would cover these peaks and then recharge later – but no this system cannot discharge the battery during daylight so you’d end up buying electricity for these peaks. No discharge in daylight also means that activities like cooking in summer evenings on our electric oven and hob would be on imported electricity (even though the battery has sufficient energy) because it’s still daylight. Finally my Economy 7 meter tells me that I regularly don’t use as much as 4kWh overnight but to get pay back you want to empty and refill the battery as many times as possible. Of course I could shift electrical load to the nighttime to empty the battery, but that’s contrary to trying to move load to the daytime to maximise use of PV directly. Which is better? Hard for the user to tell since no tools are provided to tell the user how much energy is in the battery, or any history of usage. By contrast my immerSUN produces detailed graphs of usage to show you what it’s achieving on my behalf. If this can be done with one device, why not also with a battery costing 20 times more? How can I make sure the battery is empty in the morning when my normal night time usage would only be 1-2 kWh? Well you might consider running a heater to warm up a critical room or rooms at the start of the day (once you’ve got the equipment the energy is free of course), or in my case I might want to top up the electric car, is there a switched output or other mechanism to signal when the battery is exhausted and switch off such a device? No there isn’t. So it can be hard to ensure that the battery is empty. What about filling it, how easy is that? Remember that the proposed battery has 4 kWh working capacity and sits on the DC cables between the panels and the inverter. Well, my 4 kW PV system like many is actually 2 x 2 kW systems feeding dual input inverter. 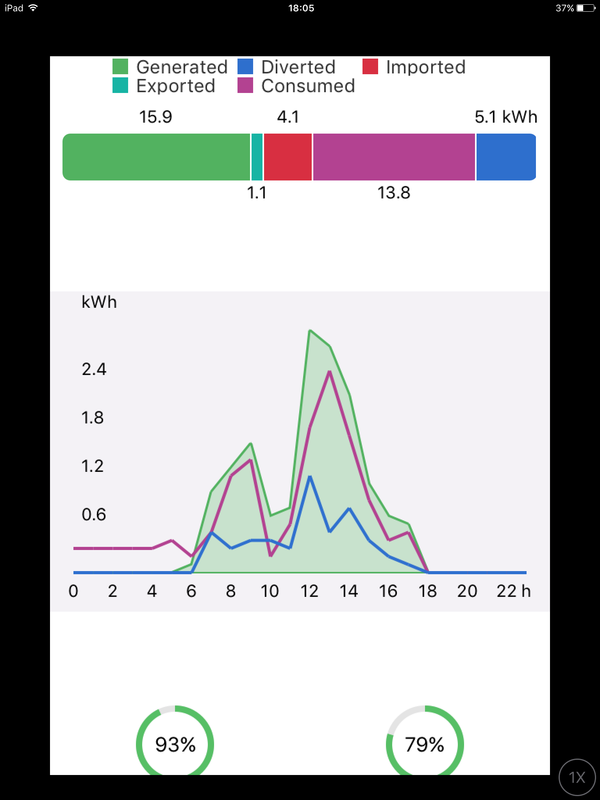 That means that only half my panels would feed the battery so to fill the battery I’d need to generate at least 8 kWh in a day (and not use much of that during the day as immediate usage is prioritised over battery charging). My average daily generation between November and February is well below 8 kWh so there are many days in which the battery wouldn’t be charged fully (and may be not at all). Then there’s the kicker – the price. If I look at a battery with 5,000 cycles life (that’s over 10 years although the brochure also quotes 10 years as the life) where each cycle is 4 kWh (which it will only be when new) that’s a lifetime throughput of 20,000 kWh. Electricity at today’s money is about 12 p/kWh so those 20,000 kWh are worth roughly £2,400 in savings. And the price of the unit? More than double that. I did a detailed analysis including my actual ability to charge the battery based on real daily generation and usage, declining battery capacity with age and use (down to 80% of original capacity after 5,000 cycles), and energy price inflation; and concluded that energy price inflation would need to be around 30% annually each year just to get my money back over 10 years – without actually generating a return on the investment. While I do expect energy prices to rise faster than inflation in the long term I think 30% annually is unrealistic. In the next few years I expect battery prices to fall as more cells are made for other purposes like electric cars, and also as used cells/batteries become available from electric cars at the end of their lives. I also expect revenue opportunities to arise through grid stabilisation and support where some access to the domestic battery is made available to support the local network. 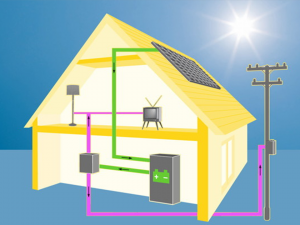 However a battery on the DC side of the invertor which only charges in daylight and only discharges in darkness will be of little use to support the grid. I think a battery needs to be on the AC side of the inventor to flexibly interact with the house and grid based on charging to eliminate export and discharging to eliminate import in microcycles (unless the grid overrides that). So I do expect to get battery storage eventually – just not now, not at this price, and not this solution. This entry was posted in Electricity storage on 20/08/2016 by Greening Me. For some time now my car charger has been linked to my solar panels so that it automatically turned on when enough surplus solar power was available enabling me to charge my electric car for free. This has helped me get up to an average of 70% of my generated electricity being used my me rather than export to the grid. 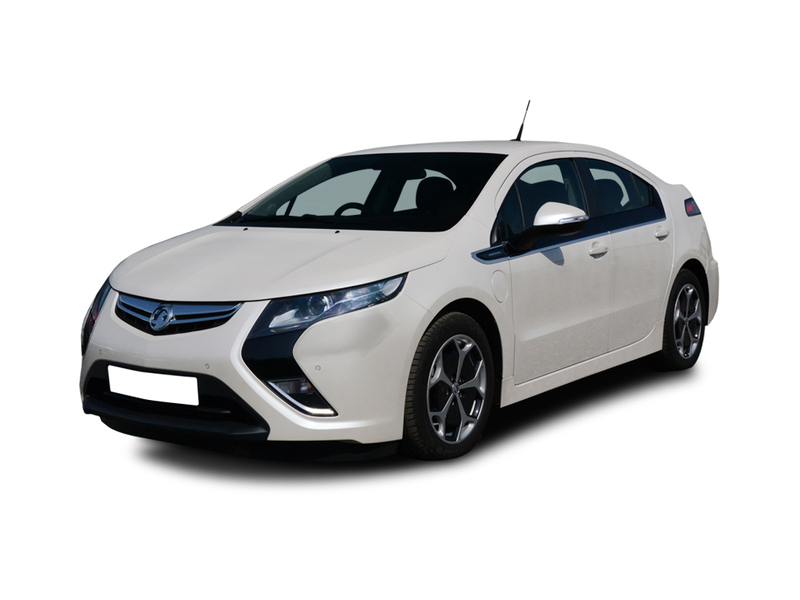 The latest refinement is intended to help me increase that beyond 70% while charging the car more quickly and reducing my use of bought electricity. The new refinement allows the charger to switch between 0, 6, 10 and 16 Amps rather than simply off/on between 0 and 6 Amps. I needed a new case to get all the bits in, but the main technical difference is the use of a Programmable Logic Controller (PLC) to determine the desired charge rate. The PLC is programmed from a laptop via a USB lead to create a programme in ladder logic which combines inputs (currently export threshold and contactor closed) with timers to switch on one of four different outputs corresponding to the four different charge currents (0, 6, 10 and 16 Amps).